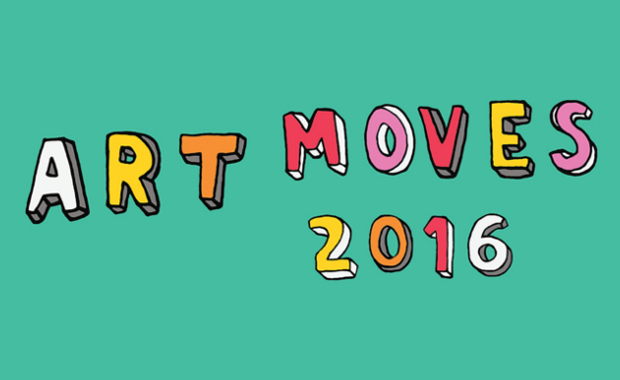 Art Moves is inviting all artists interested in billboard art, especially the young ones, to take part in the Festival’s 2016 international competition. Submitted art works are supposed to be creative responses to this year’s competition theme: Under pressure. How to be yourself in the contemporary oppressive world? The best ten (10) artworks selected by an international jury panel will be printed and exhibited in the urban space of the city of Torun, Poland in September/October 2016. The author of the most interesting work will receive the Main Award in the amount of 5,000 Polish złoty (about 1,139 Euro/$1,289 US). The competition theme slogan can be treated as a metaphor of all the processes taking place in the world today. We live under constant pressure: of time, perfection, success, exorbitant requirements. Different pressure groups – politicians, media, corporations, fundamentalists, radicals – exert pressure on us. However, not only they – we also exert pressure on ourselves. Omnipresent pressure and chaos of contradictory messages we receive intensify our fear. Our internal pressure is growing – it tells us to constantly raise the bar, work more and faster, live more intensely. The pressure never stops – we experience it from the cradle to the grave. How to be yourself in such a situation? The advertising message we are bombarded with tells us: be yourself and at the same time be like others and choose this or that product. Is it possible to be yourself and like others at the same time? What does it mean to be yourself? Is it worth being yourself – the only one, unique human being? How to do it in the contemporary oppressive world? Both individual and group entries can be submitted. The purpose of the Art Moves competition is to propagate and popularize billboard art and to encourage artists to create art engaged in the reality. Last year, the Competition was entered by 587 artists from 53 countries. The organizers received a total of 1,017 art works from Bosnia and Herzegovina, Guatemala, Ghana, Macedonia, Pakistan, Romania, Estonia, Israel and many other countries.